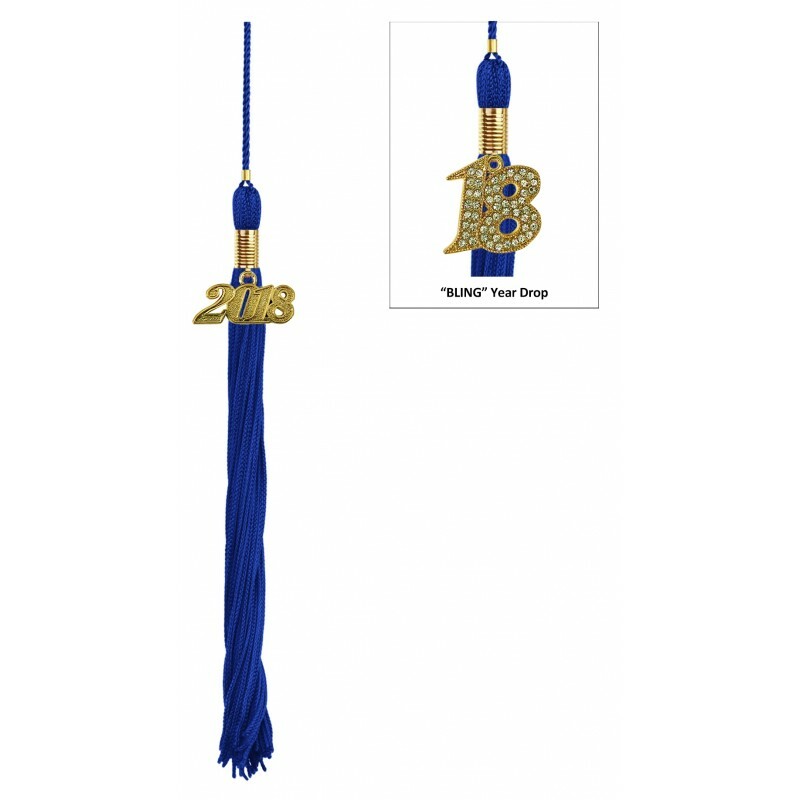 Royal High School Graduation Cap & Tassel. 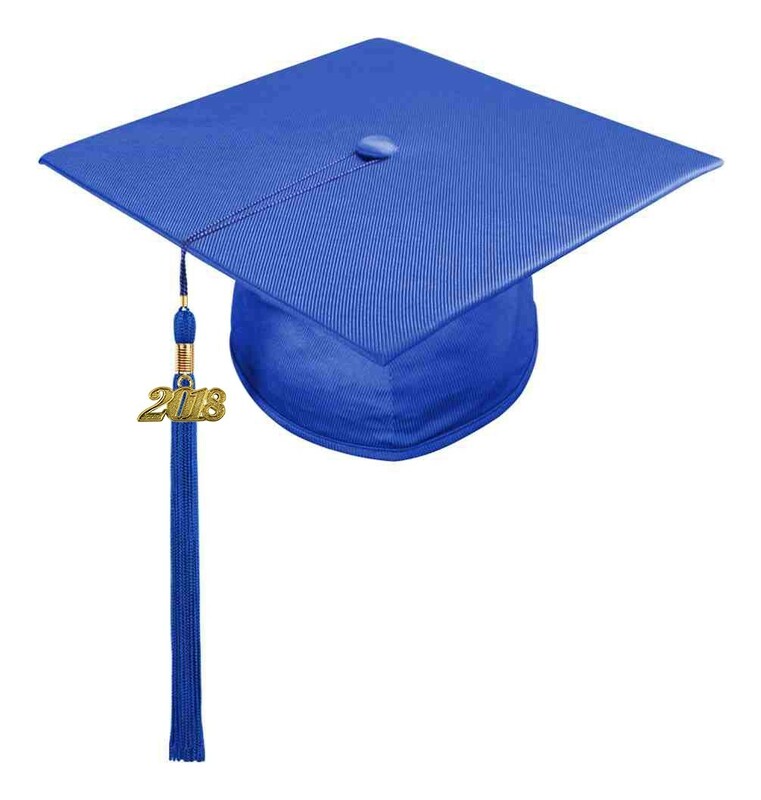 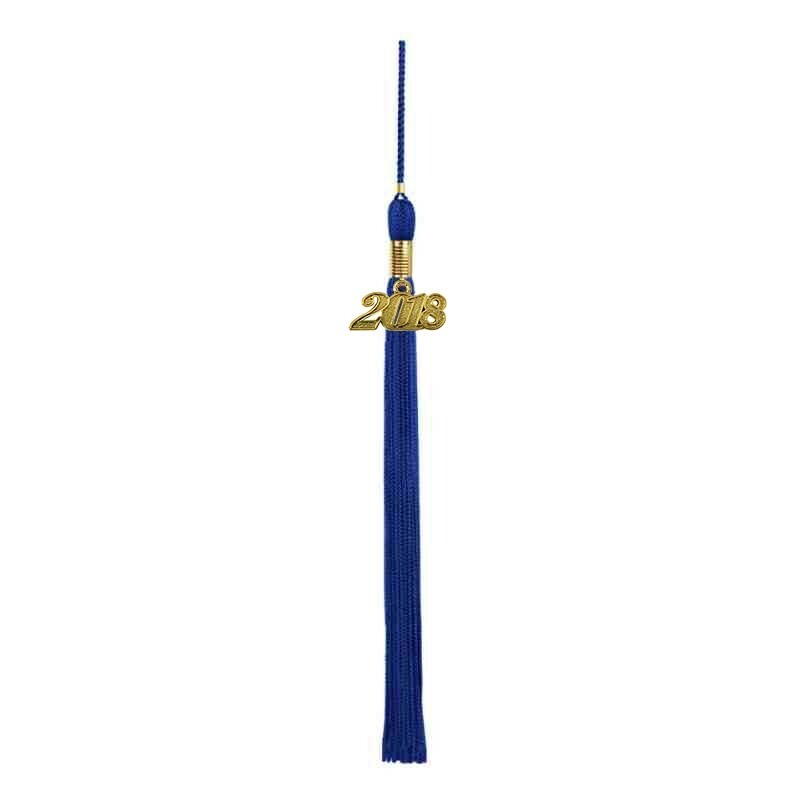 Gradshop offers the cheap graduation royal cap and tassel sets made from the same premium quality as the shiny royal graduation gowns offered by Gradshop at low prices. The high school graduation royal cap is perfect for all high school graduation ceremonies. 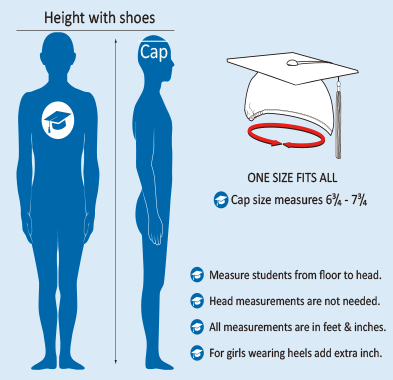 The cap mortar board measures 9.4"sq and includes flexible elastic tailored to fit all high school graduates comfortably. 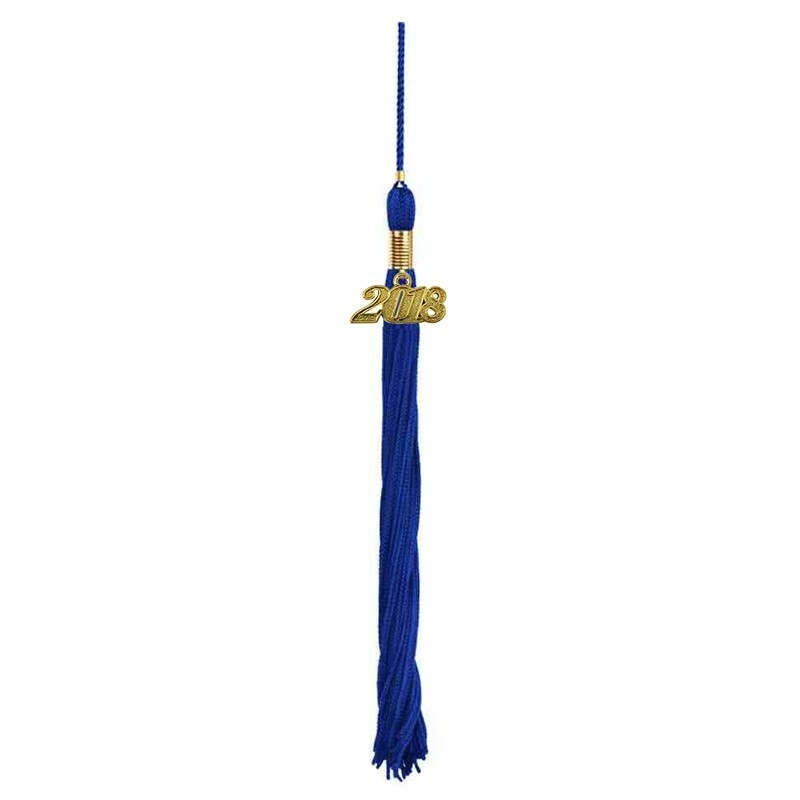 The cap tassel is 9" long with a 6" loop. 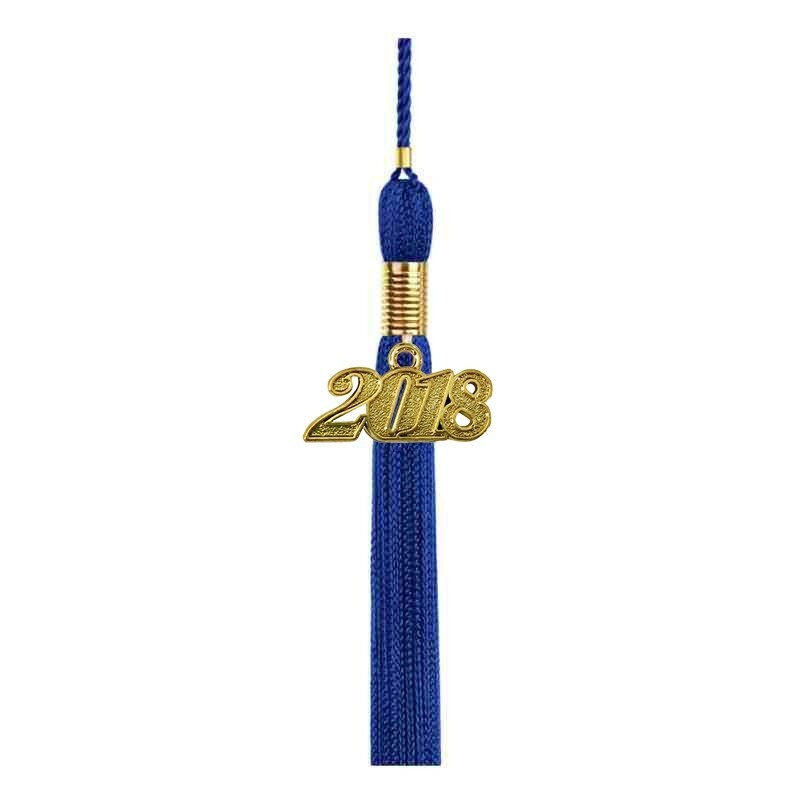 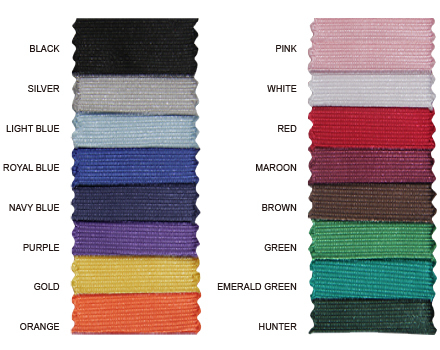 When ordering you have the option to choose the tassel color from a wide selection of Gradshop colors and each cap tassel comes with a free current year charm. 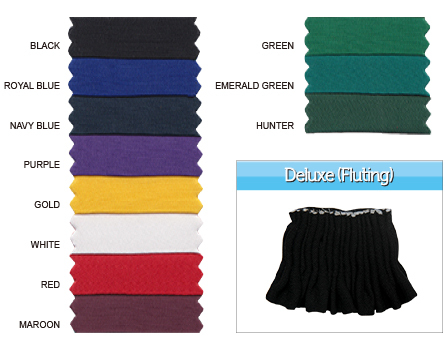 We offer further savings for bulk orders so take advantage and order now.